I previously wrote Best .htaccess Hacks For Websites, now this article has .htaccess hacks pertaining to WordPress only. .htaccess is a configuration file on your server which controls Apache Server and is a very powerful tool for your website if used properly. Here are some .htaccess snippets which will surely help you improve your WordPress installation. Please backup your .htaccess file before doing any changes. In case anything goes unexpected just replace the .htaccess with your backup. This simple snippet will redirect your default WordPress feed to your Feedburner, easy yea? This snippet will protect your WordPress from malicious script injections. This will transform http://www.example.com/category/post to http://www.example.com/post. If you have recently moved from day and name permalink structure to only post name structure, then use this snippet to redirect all backlinks. If your blog is only managed by you and you have a static IP, then you can use this snippet to make the admin panel accessible only to your IP address. Wanna save bandwidth by not serving to other websites? Try the below snippet. Having a website on WordPress platform requires us to have a web server to host our WordPress installation, though there are plenty of free and cheap offerings for WordPress web hosting, but they aren’t worth the trouble, and getting a good plan like dedicated server hosting means spending huge bucks. One of the top notch web hosting service provided is Amazon EC2, having a website there gives us plenty of advantages like scalability(means we can scale up/down dynamically with no downtime), no server maintenance(as they will do it), easy upgrades of softwares(like php, MySQL) and plenty more. However, Amazon EC2 is not a “free web hosting” provider(although there is a Free Tier, but it is limited) but still we can get our website up there for no cost using OpenShift. Openshift is a PaaS offering, which is meant for users and developers to share code/applications with community. That is, it is not exactly a web host, but you can host a WordPress installation in it as well. It also means that the PaaS provider will take care of all the security updates(and all that we get with regular Amazon EC2). I am not going in details of how you can set up a WordPress installation on an OpenShift account since Amith Shah has already done this, check the blog post at http://log.amitshah.net/2011/12/blog-moved-to-wordpress-on-openshift/. Archives: This plugin creates an Archives Page for your WordPress site, the Archives Page lists Tag Cloud, Latest Posts, Categories and Monthly Archives. You can specify the number of latest posts to be displayed from the settings page of this plugin in the Dashboard. Enhance Admin Bar: This Plugin adds numerous useful options for WordPress Admin Bar, options like Bit.ly Shortlink, Custom Nav Menu in Admin Bar, Admin Bar on bottom and a lot more, all the options can be set in the settings menu of this plugin. Add Font Family Dropdown to Visual Editor: This is a fairly basic plugin and adds a Font family dropdown for selecting fonts. Custom Login Redirect: Custom Login Redirect adds a drop down to the login form which lets you to redirect to custom locations after logging in. There are 16 default options already present in the drop down and you can add your own custom URls as well. jFlow Plus is a very cool jQuery slider been since a while, it is based on jFlow by ktan, though implementing these kinds of jQuery plugins isn’t very difficult, but implementing on WordPress at times get messy, especially if the user frequently changes/customizes their WordPress themes. So to overcome these, I made a WordPress Plugin for easy implementation of jFlow Plus, it does not modify the theme or any other gallery and works separately and is very easy to implement, the width and height of the slider can be changed from the settings menu in the WordPress Dashboard along with autoplay option and time to transition one slide. You can head over to its Release Page or go to http://wordpress.org/extend/plugins/jflow-plus/ for downloading it. I saw a lot of websites and blogs having incorrect data shown up in user profiles who liked their page using the facebook like(Or recommend) button, incorrect data like wrong thumbnail, wrong description and sometimes even wrong title. After a little research I came to know it can be easily corrected by implementing Facebook Open Graph protocol in your website. I made a WordPress plugin for easier implementation of Open Graph protocol. This plugin fixes wrong thumbnail (og:image), wrong title (og:site_name), wrong description (og:description), etc. It enforces WordPress post thumbnail for image if a post is liked, or your website’s logo if home page is liked and a lot more, you can visit the plugin’s release page at https://priteshgupta.com/plugins/fix-fblike, or download it from WordPress.org at http://wordpress.org/extend/plugins/fix-facebook-like/. It customizes the following Open Graph protocol properties og:title, og:type, og:url, og:image, og:site_name, fb:admins, og:description. Here is a screenshot of settings menu in the admin panel for customization(Click for larger image). The .htaccess configuration file on your server which controls Apache Server is an important file and a very powerful tool for your website if used properly. It is generally found in root of your web server. In this article I will share how .htaccess can help improve your website’s stability, security, functionality and usability. If you have moved your website to another domain and want to redirect all the pages to their new location or you want to redirect a particular URL to a specific page in most Search Engine Friendly manner then you can use the below code in your .htaccess. Note: Remember not to insert “http://www” to the “/Old_Directory/”. By adding a ban list to your .htaccess file you can block all unwanted user agents. These agents at times are harmful and can can cause load on your server. If you wish to remove the “www” from your website’s URL, like http://your-domain.com instead of http://www.your-domain.com, then you can use the below code. If you wish to add “www” your website URL, you can add the below code. If you want to allow only few particular IPs and deny everyone else then you can use the below code in your .htaccess file. Replace “http://www.your-domain.com/under_construction.html” with the error page which you will like to be displayed to everyone(except the particulars IPs) or you can simply omit the line if you don’t need it. If you think there are spammers regularly flooding your website you can simply ban their IP addresses to get rid of them and allow everyone else. You must have already seen many custom 404 error pages, you can use the below code for error pages for 404 errors and other errors too. The default page of a regular server is either an index.html or index.php, you can use the below code to change it. The below code removes extension in a URL, this make it the URL more Search Engine Friendly. Example: http://www.your-domain.com/about.php will be http://www.your-domain.com/about. You can replace .php with .html or whatever you want. You can block users from viewing directories without an index page using the below code. If you have php within an html file, you can still execute it as php using the below code. If you want, you can stop scripts like php, asp, etc from executing and simply display them as plain text. Using below code you can set the default Email ID of your server. Using this disable users from using images hosted on your server in their website, this helps in saving bandwidth. You can do this by adding the below code, replace “http://your-domain.com/copyright.jpg” with the image which you will like to be displayed instead. The below code will tell the web browser to use cache instead when your website is loaded. It doesn’t directly increase the loading speed of your website, it will basically loads the cached content when the user visits your website second time. Currently the cache expiry time is set to 1 day(86400 seconds). Guide to Sitemaps – What? Why? How? A website/blog is like a book, and thus it also needs a index or table of contents. In web terminology we call this ‘table of contents’ sitemap. There are mainly two kinds of sitemaps. HTML Sitemap: It is meant to be accessed by your website’s visitors, which helps them to browse your website, see what they have point of interest in and increase your website’s/blog’s usability. It is simply a hierarchical list of links on a web page. Most of the (premium)WordPress themes now have in built Sitemap page template. Otherwise some or other WordPress plugin is always there to do the job. Click here for an example of a HTML Sitemap. XML Sitemap: These kind of sitemaps are meant for search engine bots to crawl, you can submit one of these to search engines after building it. It is one of the most important aspect in large websites. Click here for an example of an XML Sitemap. If you are using a CMS like WordPress or Joomla, both kinds of sitemaps can be built easily using various plugins/components, like you can use this to create a HTML Sitemap on WordPress. Otherwise, if you have a normal website, you can easily create it with any usual WYSIWYG editor. You should start by creating a list of your pages, then adding the sub pages below the parent pages, and then linking them. After the skeleton has been made, style the sitemap page(using CSS), match it to your website layout and then put it live after testing all the links. Creating an XML sitemap has never been this easier. If you are on WordPress(like me) you can use this amazing plugin Google XML Sitemaps. It builds your sitemap very adequately also, it notifies all major search engines like Google, Bing, Yahoo etc, every time you create a post about the new content. If you are on Joomla, you can use Xmap it has much more features that its WordPress counter part. Again, if you have a normal website, and you are an advanced user(who knows XML, HTML, etc) you can create the sitemap yourself. The below example shows a Sitemap in XML format. The Sitemap in the example contains a small number of URLs, each using a different set of optional parameters. Please remember that your sitemap should always be UTF-8 encoded. you can see the tag definitions here. The other and more recommended way to create sitemaps is to use any of the XML Sitemap Generator services available online, you can find plenty of them online. The one I like is XML-Sitemaps.com (Maximum 500 pages). It does most of the job itself, and just leaves the uploading part for you. You should include the location of your sitemap in your robots.txt file so that search engine finds it when accessing your robots.txt , you can insert it using the below code. After you are done with your XML Sitemap. I will recommend you to submit it to your Google Webmaster account. Google will index it in a little while, and you can see effective results. Of course there are few more kinds of sitemaps, I am including a few below. RSS Feeds: They are not really sitemaps, but rather web feeds meant for feed readers, but they do work as great sitemaps for blogs. ROR Sitemap: A variant of XML sitemaps, much more robust that XML and support various kinds of formats. See more here. Video/Geo/ News Sitemap: They content links to your videos/geo-content/news articles so that they are searchable in Google Video/Google Maps/Google News. Tired of having that old Comment system of your Blogging platform. Here’s what you need. There are 2 major app which you can try for managing comment in your blog one is Disqus and another Js-Kit. The disqus is old and free and is used by huge sites like Mashable where as Js-Kit is new, Evolving and next generation. With Comment System’s you can able your readers to comment with there Facebook/Twitter profile and Various other profile. 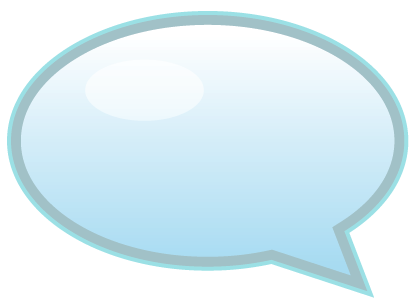 There also some more advanced features which you can get using these Comment System like real time conversations. So you must be having a Blog(If NO, Go get one today). Where do you host it Blogger.com OR WordPress.com. Or if you have your own Hosting space with php and Mysql then for sure WordPress.org. This post will compare Blogger.com with WordPress.com. Also don’t get confused with WordPress.com and WordPress.org. WordPress.org is a CMS which you need to host and is the best Blog System currently. I will not be including features which are in both of them OR neither of them. If you wish to upgrade to WordPress.org soon then go for WordPress.com. As it supports Categories as well as Tags(Which is common in WordPress.com and WordPress.org). Most of people start from platforms like WordPress.com or Blogger.com and move to WordPress.org(It includes me). Also if you are newbie in Blogging go for Blogger. 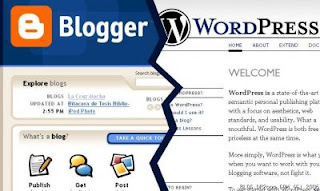 Blogger is also owned by Google which is a 800 pound gorilla in Internet. There is also a http://draft.blogger.com where you can see features if blogger about to come. My Suggestion: Go for Blogger.com. As it has the biggest advantage that is Flexibility.